The infinite wisdom and limitless love of Yahuwah devised a plan whereby sinful, fallen man could be restored to divine favor. This plan embraced far more than the legal redemption of mankind from the control of Satan. It also called for the restoration of the divine character within the human soul. It is this hope, full restoration back to the divine image, to which Paul referred. And it is this work that Yahushua is engaged in right now. 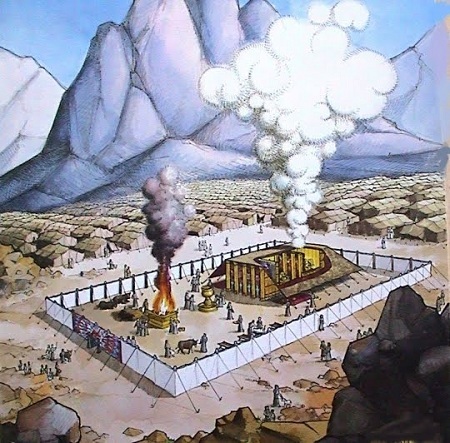 To teach the intricacies of the plan of salvation, Yahuwah commanded Moses to build a tabernacle whose services and very construction would instruct humanity in the truths of salvation. “Let them make Me a sanctuary, that I may dwell among them.” (Exodus 25:8, NKJV) The highlight of these sacred services was the yearly ceremony observed on Day of Atonement. This was the most solemn day of the entire year. It was a day of fear and trembling . . . as well as tremendous spiritual blessing. 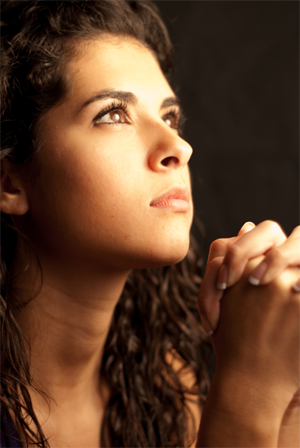 It was preceded by deep and heartfelt soul-searching and prayerful repentance for sin. It was on the Day of Atonement that those sins which had been repented of were blotted out – both from the record books in Heaven as well as the character of the individual. This tremendous gift, accepted by faith, allowed the people to start with a clean slate once each year. Those who had transferred their sins to the sanctuary ahead of time, through confession and repentance, could claim by faith a renewed heart. This is the work, the special work of cleansing, done on the Day of Atonement and it is available now to all who, like ancient Israel, will join in the work of soul-searching and repentance. During the daily services of the tabernacle, the sins of the repentant were legally transferred to the sanctuary by the blood of animals: lambs, goats and bullocks. Blood was carried into the Holy Place and the repentant sinner was considered forgiven, although the record of his sin remained. On Day of Atonement, the High Priest went into the Most Holy Place of the tabernacle. He went in only once every year but it was this service that showed the blotting out of sins available. Now . . . the priests always went into the first part of the tabernacle [the Holy Place], performing the services. The earthly tabernacle was given to teach of the legal transactions done in the Heavenly sanctuary to save sinners. 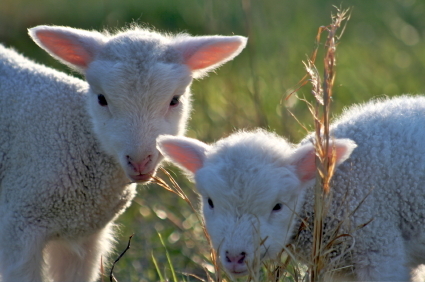 The services of the earthly tabernacle were done with the blood of lambs. The services of the Heavenly are done with the blood of Yahushua Himself, the “Lamb of Yah that takes away the sin of the world.” (See John 1:29.) The earthly sanctuary was symbolic of what would be done in the Heavenly after the death of Yahushua. The blood of animals could, in actual fact, cleanse no one from sin. They did not have that power. They were merely symbols pointing forward to the ultimate sacrifice for sin: Yahushua. Only the blood of Yahushua can cleanse from sin. Those who came to the earthly sanctuary exercised faith that when the Saviour did come, then the final forgiveness, cleansing and restoration could take place. But [Yahushua] came as High Priest of the good things to come, with the great and more perfect tabernacle not made with hands, that is, not of this creation. Not with the blood of goats and calves, but with His own blood He entered the Most Holy Place once for all, having obtained eternal redemption. For if the blood of bulls and goats and the ashes of a heifer, sprinkling the unclean, sanctifies for the purifying of the flesh, how much more shall the blood of [Yahushua], who through the eternal Spirit offered Himself without spot to [Yahuwah], purge your conscience from dead works to serve the living [El]? If the blood of animals was accepted to cleanse people from their sins by faith, how much more accepted is the blood of Yah’s own Son to forgive and cleanse people? “According to the law almost all things are purged with blood, and without shedding of blood there is no remission” of sins. (Hebrews 9:22) Because the blood of Yahushua has been shed, there is no condemnation of those who, through faith in Him, have repented of their sins and accepted His forgiveness and cleansing. After Yahushua, the Lamb of Yah, died for the sins of the world, He returned to the Heavenly sanctuary. There He entered the Heavenly Sanctuary to make atonement for you and for all sinners who seek Him. What had been done for believers through faith in the coming Saviour, now could be done in reality. Scripture presents Yahushua as standing in the presence of Yahuwah, even now offering His blood as an atonement for your sins. He is waiting, with longing heart, to cleanse and restore all who come to Him in faith. The earthly sanctuary pointed forward to what is NOW available and only awaiting your acceptance of it by faith. And every priest stands ministering daily and offering repeatedly the same sacrifices, which can never take away sins. But this Man, after He had offered one sacrifice for sins forever, sat down at the right hand of [El], from that time waiting till His enemies are made His footstool. For by one offering [His death] He has perfected forever those who are being sanctified. In order for the Saviour to bring His reward with Him, it follows that it will already have been determined who receives which reward: who is granted eternal life, and who will be consumed in the lake of fire with the devil and his angels. The final generation consists of those who are called out of Babylon. They are called out of the fallen churches; they are called out of tradition, error, sin and apostasy. And, as they respond to the call to leave Babylon and return obedience to their Creator, a wonderful transformation is wrought: they are gifted with cleansing, total and complete. They are given a new heart and a new spirit. They are restored to the image of the divine. "For I will take you from among the nations, gather you out of all countries, and bring you into your own land. "Then I will sprinkle clean water on you, and you shall be clean; I will cleanse you from all your filthiness and from all your idols. "I will give you a new heart and put a new spirit within you; I will take the heart of stone out of your flesh and give you a heart of flesh. This is what your Saviour is waiting to do for you. He wants to give you a clean heart, and a right spirit. He wants to restore in you the divine image of Yahuwah. Accept the loving invitation today. Repent. Be cleansed. And you will be accepted in the Beloved.